Beat This Caption Contest 236 Winner – Caption Contest Funny Clever Witty Enter Today! What Bloody Fingerprint Your Honor? 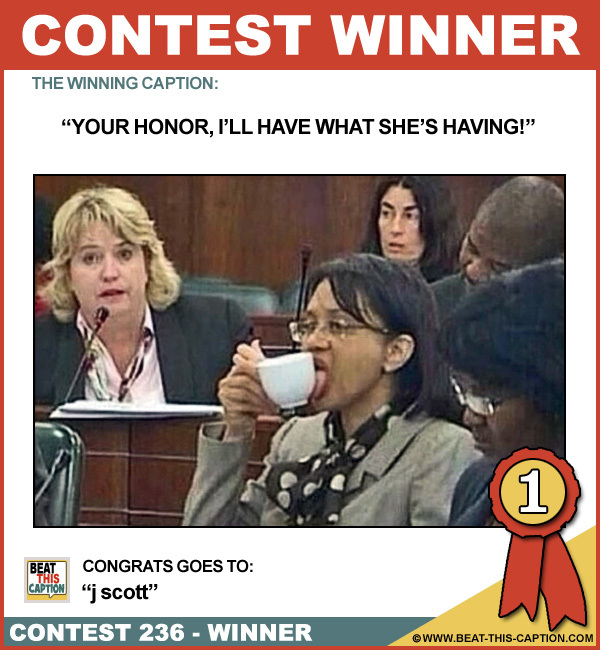 YOUR HONOR, I’LL HAVE WHAT SHE’S HAVING! She was fantasizing about a hung Jury! Dayum do I miss my cell-mate! Do you swear to lick the side, the whole side and nothing but the side?